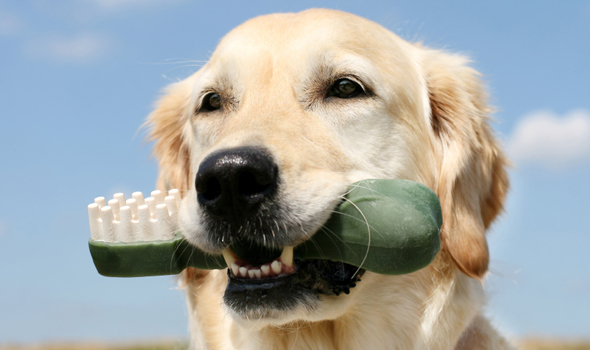 Dental health is very important to our companion animal. Many animals can suffer complications from tartar and gingivitis and this condition can progress to periodontal disease. Periodontal disease and oral bacteria can easily affect other organ systems including the heart, liver, kidneys, lungs, and brain If your pet should develop any dental problems, Mission Valley Veterinary Clinic is fully equipped to perform dental prophylaxis, digital dental radiography, and tooth extractions. Sensitive to the touch around the mouth area. Anesthesia monitoring–When your pet is under anesthesia, its vital signs (such as body temperature, heart rate, and respiration) should be monitored and recorded. This helps ensure your pet’s safety while under anesthesia. Dental radiographs–X-rays of your pet’s teeth are needed periodically to evaluate your pet’s oral health. X-rays also help veterinarians detect abnormalities that cannot be seen through physical examination alone. They can also confirm the need for tooth extraction when teeth are loose or badly infected. Scaling and polishing–Using instruments much like human dentists, veterinarians remove plaque and calculus from your pet’s teeth. Polishing with a special paste smooths out scratches to the tooth enamel. Fluoride/sealants–By applying an anti-plaque substance, such as a fluoride treatment and/or a barrier sealant, the veterinarian helps strengthen and desensitize teeth and discourage the development of future plaque.